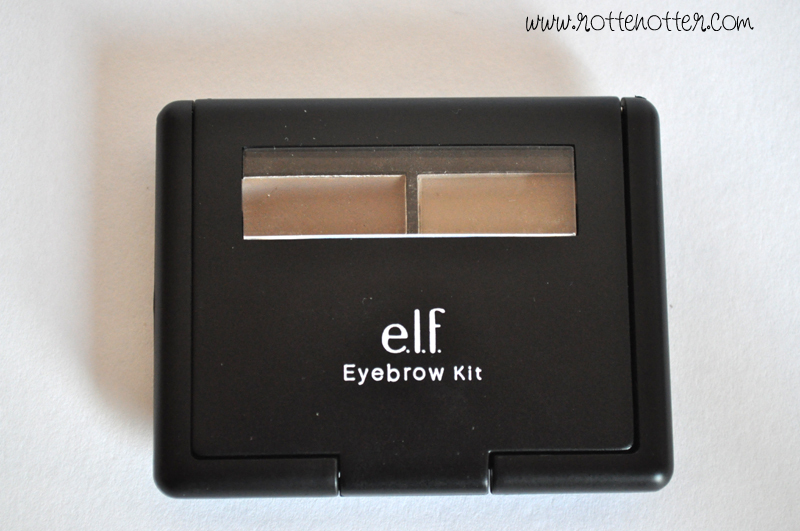 This is my second review from E.L.F this week and it's another eyebrow product. You can read my other review here. The packaging is once again great and it feels and looks like it would cost more than £3.50. It's great that a little window is included and the product is written on the front so you know what you're grabbing for from your collection. It’s actually bigger than I expected too which is always a bonus. Another bonus is the little mirror inside, it is tiny but still great for when your on the go. Once open you'll find two products and a little double ended brush which surprisingly works well for when you're on the go. The product on the left is the wax which will shape your brows as well as give them a bit of colour and will fill in any patches. 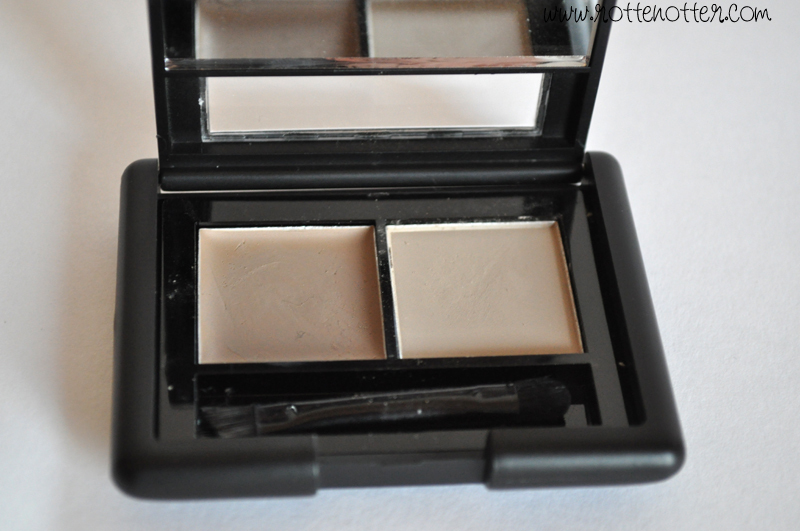 Then the second product is the setting powder which will also add a bit of colour. Despite going for the light option in the last brow product from E.L.F I went with ash as the swatches on the website looked a bit dark for my hair colour. It also looked a bit too red toned despite my hair being strawberry blonde. Not sure how accurate the swatches are though. The thing that impressed me the most is the staying power, it wont budge if you lean or rub your eyebrows. This means it’ll be perfect for lasting all day during work or going out at night. What is your favourite brow product? Wow, I should really try this! I'm using a Clinique brow pencil which is okay, but I have to replace it so often it's becoming expensive! This will be on my list!